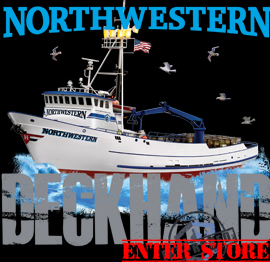 For nearly two decades, Sig has seen to it that the Northwestern is one of the Alaskan crab industry’s top producers, and he considers this performance essential, but he’ll tell you that a greater accomplishment by far is the lack of any major accidents onboard the Northwestern. The best captains bring home the catch – and boat and crew – safely. For tickets ($100 VIP includes Meet & Greet, open bar & hors-d’oeuvre from 6:30 p.m. – 7:15 pm, $65 orches., $50 mezz. balc. ), call the box office at The Ridgefield Playhouse, (203) 438-5795, or order online at ridgefieldplayhouse.org. The Ridgefield Playhouse is a not-for-profit performing arts center located at 80 East Ridge, parallel to Main Street, Ridgefield, CT.